I hate seeing these photos. Not because I hate guineapigs but because I’m desperate for a pet and would really love a guinea pig as they are just so gentle. So cute!!!!!!! They’re so cute, they look like they’ve really grown! Thanks very much! They are and they have! They’re quite big now. Thanks very much! They do take a fair bit of looking after to do it properly. They probably were! They’re such good friends, it’s lovely to see. Great capture at eye level! You really get a feel for their characters. Ha ha, looks like the brown one’s posing especially! He does a bit! He’s easier to photograph as he doesn’t have all the fur covering his face! Thanks very much! You just have to time it right and make no sudden movements! Ah, they’re so sweet! What are their names? 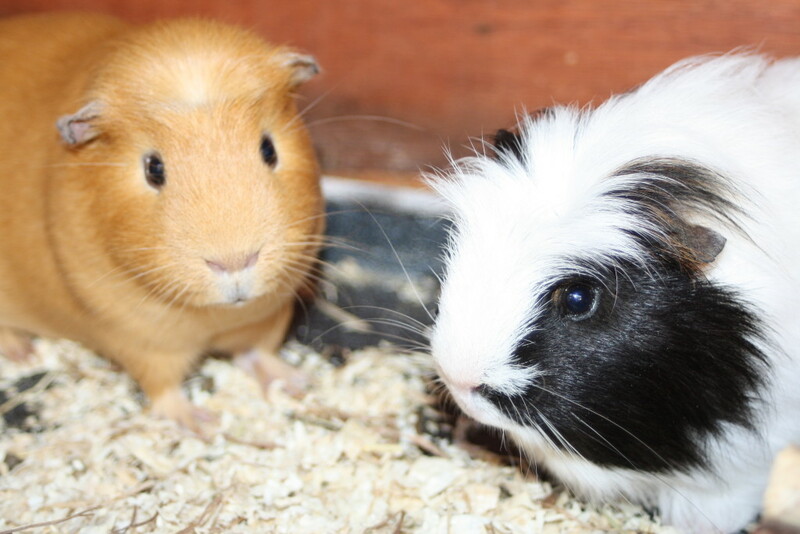 They’re Daisy (short-haired) and Eric (long-haired) – they’re both male! Thanks! If I know my guinea pigs, they’re thinking about food! I hope they didn’t suffer in the heat too much. A lot of small furries got overheated on Wednesday. Thanks! They did seem to struggle a bit. I put them a frozen bottle of water in to help them cool down and it seemed to help. Thank you! They are lovely pets. How cute; I love their wee noses!! How have they coped in this heat?! Thanks very much, they are lovely! They did struggle a bit in the heat. I put a frozen bottle of water in their hutch to help them. Cute! What are their names? Thanks! They’re Daisy (short hair) and Eric (long hair). They’re both male! Thank you! That’s just what I thought.